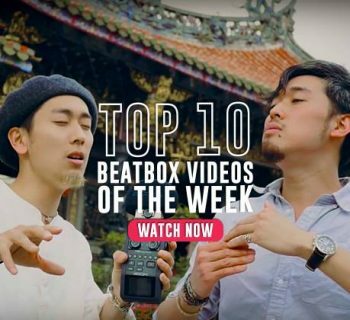 If you're new to beatbox, this is a great exploration to why we love the art form so much. 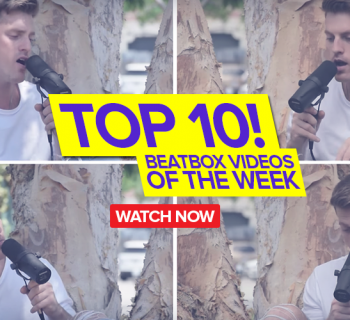 If you're already a beatboxer, share this with your non beatbox friends because you're in for a ride. Great news! Reeps One is heading over to Harvard to take part in a residency where he's going to share our beloved art form with some brilliant minds (see you there). Nonetheless, he's been working on one project in particular called sound trees, which will ultimately document vocal phonetics by cataloging sounds (which are usually a combination of simpler sounds) and drawing trees that show the roots and the interconnected web of sounds. 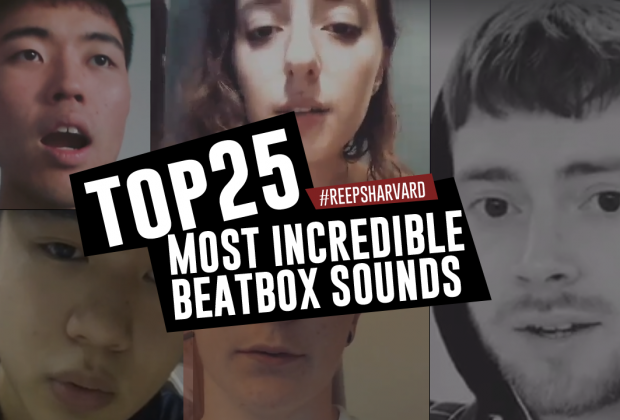 In light of this project, Reeps challenged the beatbox community to shoot 30 second videos of beatboxers showcasing their most unique sounds. He also asked for them to break the sounds down into their most basic forms, so we can construct the formations of each sound. Cali starts us off with his multiple lip oscillation technique, which is a combination of a trap hi-hat with a lip oscillation. 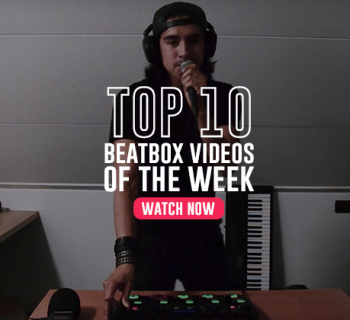 This is a super clean and versatile sound that any beatboxer can stash away in their beatbox sound arsenal! Bataco calls this the dabble bass, where he vocalizes a combination of light lip oscillations from the side of the mouth. It takes incredible lip control to hit the right notes and Bataco pulls it off perfectly. This sound executed on a mic is delightful! Andrew combines a tongue rattle with the war horse sound effect to make this interesting combo. Definitely lots of potential here! Yes Robeat! He's back at it with a perfectly executed cricket technique. Not only an incredible sound that he can use in a routine, but a heck of a party trick as well. Psyreine excellently breaks down one of her signature sounds, the siren bass. This is made through a combination of a hum, siren made with the teeth, and the throat bass. Brandonk turns this classic sound and puts a creative spin to it by shifting his lip positions left to right. This creates a unique wavering sound that we thought was really nice. Respect. This one is a masterpiece. Bronix from France combines the throat bass with a tight squeaky lip oscillation, then masterfully shifts his mouth after the initial hit to add some depth to it. Well done! Ego from Indonesia shows us the poh snare, which is done by placing the upper tip of your tongue on the inside of your bottom row of your teeth, and blowing out forcefully. This creates a powerful push from your throat out both sides of your tongue to create a powerful and airy sound. Adam combines the sonic boom (popularized by Reeps himself) with the tongue position of the multi-k (where you perform inward k's in quick succession). This just sounds so clean and dope - can't wait to learn it! Nemesis calls this the lip bass and others in the comments claim this is an inward OD bass, but we'll call it a inward hollow lip bass for now. This creates a super clean oscillation - really hard to describe in words! Pain from Greece performs an awesome laser gun effect that is done by sucking your tongue against the front tip of your teeth while breathing in sharply with the nose. Samy Try the French maestro performs an awesome wah-wah guitar technique. He does this by doing inward TK's while opening and closing his mouth to create the wah-wah effect. Brilliant. Carlo from Poland performs what he calls a fry bass. This is done by building inward pressure where your neck and chest meets. This is a super versatile sound because once you're able to control it, you can execute a beat while performing the fry. 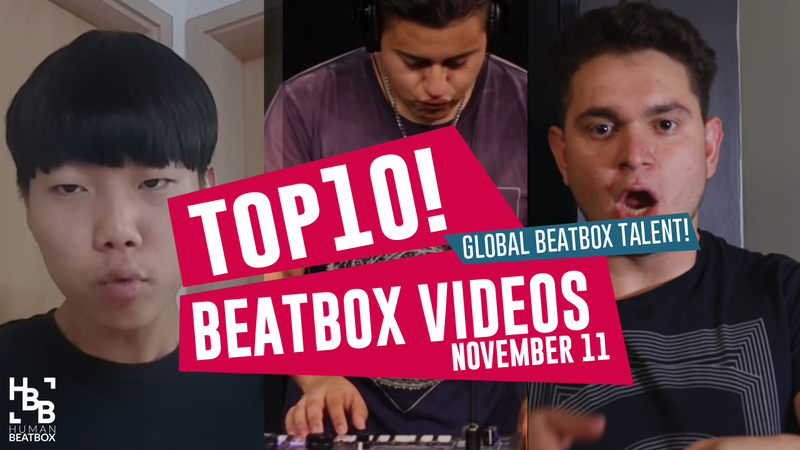 I guess we know where Karolina got her beatbox name from! This is a simple but super awesome technique that Chiwawa really owns. We'll call this one the Chiwawa stab! Gale from Australia has the sickest dubstep routines and this is just one of the awesome sounds he does. This stutter wobble is perfect in a buildup prior to a drop! This is executed by creating an oscillation by breathing out like you're laughing and combining it with a tight lip oscillation. Be sure to support Gale on his Instagram - he's massively underrated! 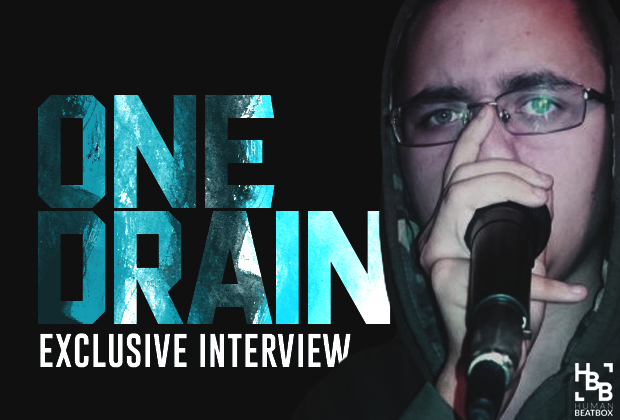 Azel here is a brilliant and young beatboxer from Italy who shows us the liquid bass. This is performed by combining the inward bass and click roll, but also by bending your tongue 90 degrees on the right side of your mouth. Watch and learn! Power power power! Marcel shows us why lip rolls are a versatile sound. This is done through a combination of a lip roll, inward fry growl, and a whistle. So good! Trung Bao from Vietnam presents his iconic bass cannon, which is a combination of three or four different sounds (depending on how you see it) including the cheek wobble, outward vocalization, and a laser oscillation. DjB3AN is coining the chain roll, which is a combination of an inward nasal growl with a lip roll. This is done by hard stabs, which creates this powerful and rough sound! Love it. Although the hoover synth is a popular sound, Cull executes it like no other. This sound is done by a uvular oscillation while singing the highest note on your falsetto range. Wow - this one blows us away. Two.H, who just came out of the military, joins the show by showcasing this demonic alien sound. It's actually very difficult to describe, but we'll do the best we can here. It's a combination of a high pitch falsetto, a vocal screech, uvular oscillation, and a wobble effect made by opening and closing your mouth. I hope that made sense. Holy crap Mike Lackey. He combines a high-pitch vocalization with an inward whistle and inward bass to create this deadly combination of sounds. Perfectly executed. Wow. This one is so incredibly unique and definitely the first time we're hearing it. This is done by combining a hum, throat whistle, siren, and blowing out air for "white noise." Fantastic. I just want to say that it's been incredibly difficult choosing the best sound and this ranking is completely arbitrary. I say this because this next sound is real treat. Our friend CTB shows us how to do the YOI bass, which is a combination of a muffled throat vocalization with the throat bass to create this monstrosity of a sound. So so so sick! And in first place, we have Rudolf from Taiwan showcasing his whistle bass. I hope you agree with me here, but whistle bass is massively underselling this surreal sound. He combines a throat-whistle with a bass kick with an oscillation tailing off of it. Phenomenal! Well there you have it! Which one was your favorite? Let us know in the comments below and thanks for liking, sharing, and commenting! Please do share this with your friends :). Until next, time!